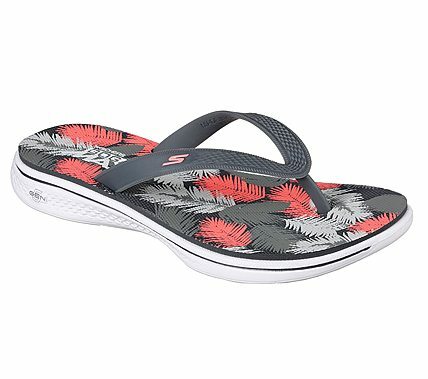 Float along in sporty fun style and comfort wearing the SKECHERS H2 Goga - Lagoon sandal. Sculpted soft rubber upper in a water-friendly sport comfort sandal with Skechers Goga Max footbed and GOwalk 4 sole. Авторски права © 2019 SKECHERS.